KBY attorneys are actively involved in the legal profession and in our community. In addition to memberships in local and state bar associations and practice groups, KBY attorneys have served on the Board of Directors of the Federal Bar Association (Orange County) and numerous special committees of the Orange County Bar Association, including the Judicial Nominations Committee. We have partnered with Share Our Selves (SOS) to provide pro bono legal services and financial support. Share Our Selves (SOS) is a nationally recognized health center providing comprehensive safety net services to the Orange County homeless and low income communities. Will Klatte serves as Vice-Chair of the SOS Board. 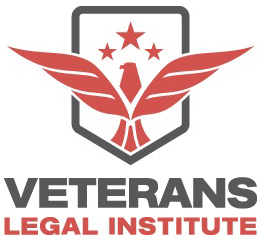 Through Veterans Legal Institute, KBY Law provided pro bono legal assistance to homeless and low income veterans who have served and continue to serve our country. In 2015, KBY successfully represented a homeless veteran in appealing the denial of unemployment benefits before the California Employment Development Department, obtaining benefits for the veteran on a pro bono basis. KBY is representing the Boys and Girls Club of Tustin in defending a 2015 claim filed in the Orange County Superior Court. The firm participates in UCI Law School’s annual Public Interest Law Fund (PILF) fundraiser, and has contributed through the organization to public interest work in 2013, 2014, and 2015. KBY was co-counsel to UCI Law School Dean Erwin Chemerinsky and others in a case before the United States Supreme Court, United States v. Apel, 134 S. Ct. 1144 (2014). Mr. Apel had been convicted of violating a federal law which makes it a crime to reenter a “military… installation” after having been ordered not to do so “by any officer or person in command.” The basis for the conviction was Mr. Apel’s free speech activities within the boundaries of Vandenberg Air Force Base, in a designated protest area adjacent to the Pacific Coast Highway. Selwyn Chu, a 2012 graduate of UCI’s inaugural law school class, mentored UCI law students since 2013. Mark Budensiek serves as an adjunct law professor at Chapman University's Dale E. Fowler School of Law. He teaches the "Employment Law Laboratory" course, focusing on employee law practice in a real-world setting. 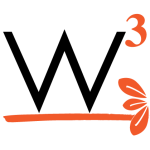 KBY supports W3 Women: Professional, Powerful, Paying Forward, a group co-founded by Summer Young-Agriesti to assist and guide professional minority women. KBY supported the 20th annual 2014 OC Business Journal’s Women in Business event. 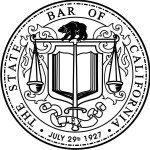 Will Klatte has previously received the California State Bar Association’s President Award, the highest award bestowed by the State Bar, for pro bono legal services in connection with the defense of a group of homeless individuals in Orange County.